The World in one Country, no wonder a holiday in South Africa is such a popular choice. With its diverse cultures and landscapes there is something to appeal to everyone, and of course, despite the distance there is the added advantage of an absence of jetlag! No South Africa holiday would be complete without a visit to Cape Town and its hinterland. 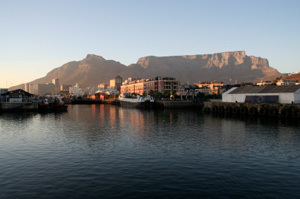 Set beneath the dramatic Table Mountain, attractions include the Victoria and Albert Waterfront area, Robben Island where Nelson Mandela was held captive, and Table Mountain itself, accessible by cable car. From Cape Town it is easy to take a trip to the winelands, where you can enjoy world class wines in beautiful scenery. Charming towns such as Stellenbosch and Franschhoek, surrounded by vineyards, are home to good restaurants where you can enjoy the finest cuisine on your South Africa holiday. This is the most popular self-drive option while on a holiday in South Africa. It can easily be combined with a stay in Cape Town and a safari element in the Eastern Cape for an all round South Africa holiday. Stretching from Mossel Bay in the West to Storms River in the East, Knysna and Plettenberg Bay are two popular stopping off points along the route. Unspoilt beaches, nature reserves, small towns with restaurants serving the freshest seafood, make this journey a must on a holiday in South Africa. 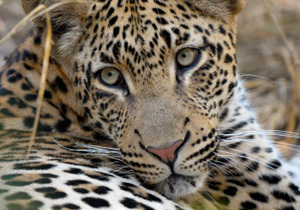 There are several options for game viewing on a holiday in South Africa. Perhaps the best known, and certainly the largest, is the Kruger National Park in the North-East of the country. Here there are Game Reserves to suit every taste and budget, accessed by air or road transfer from Johannesburg. The Game reserves in the Eastern Cape have the advantage of being malaria free. If seeing the big 5 is on your wishlist during your holiday in South Africa, then a visit to a Game Reserve is unlikely to disappoint you. Many game reserves are child � friendly and we can advise on the best options for your holiday. The Eastern Cape reserves are also very accessible from the Eastern end of the garden route and Port Elizabeth if you are combining different dimensions in one South Africa holiday. Between July and November you can catch sight of the Southern Right Whale off the coast of Hermanus, just 130km from Cape Town. The Boer and Zulu battlefields are to be found in this region, along with the majestic scenery of the Drakensberg Mountains and some of the finest beaches in the country. Sun City and the Fancourt rank amongst the top courses in the World and there are many other courses you can enjoy in spectacular settings. Why not combine golf with one of the other activities listed above? 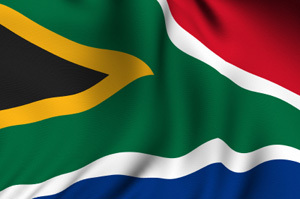 We can tailor-make your South Africa holiday to suit you.